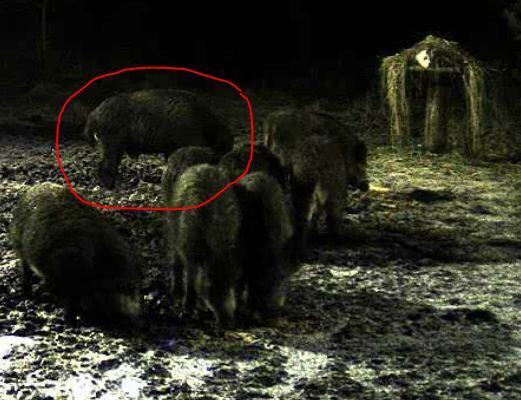 We have been repeatedly asked why the boars won’t visit the feeding ground? Nothing wrong with digging for roots in the forest in warm weather. But when cold weather arrives things at the feeding ground must be checked at once. They appeared on the site a few minutes before midnight and spent an hour and half there.